That's Bob Kinder's experience. 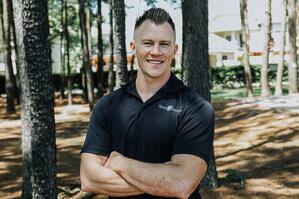 And now, he's one of Signal 88 Security's newest franchise owners in New England. Wouldn't it be great to have a local security solution with that type of experience and reputation? With Signal 88 Security, there is a large network of Franchise Owners who come from these exact backgrounds. In fact, over 75% of Signal 88's Franchise Owners come from military and law enforcement backgrounds! Now, they're using that wealth of experience to help protect their community. "It's personal to me, this is my way of life. 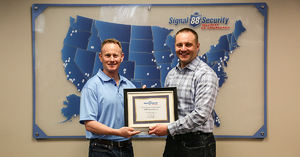 Being there for my employees and my clients is very important," said Brandon Foss, former security contractor overseas and current franchise owner of Signal 88 Security of Southwest Houston. For our owners, their Signal 88 Franchise is their purpose. It's their mission in life to protect and provide safety for their family and their communities. And it's through these local franchise owners that you can work with one-on-one to develop a security plan that best fits your property or event. The valued security experience that our owners bring, such as Bob Kinder and Brandon Foss, you can rely on that they'll be able to effectively evaluate your property or event's needs and identify the best course of action to take to ensure safety and peace of mind for everyone. Don't wait on peace of mind, get started today by finding a location near you.